What more wonderful Christmas present could there be in the whole world than Charismatic? 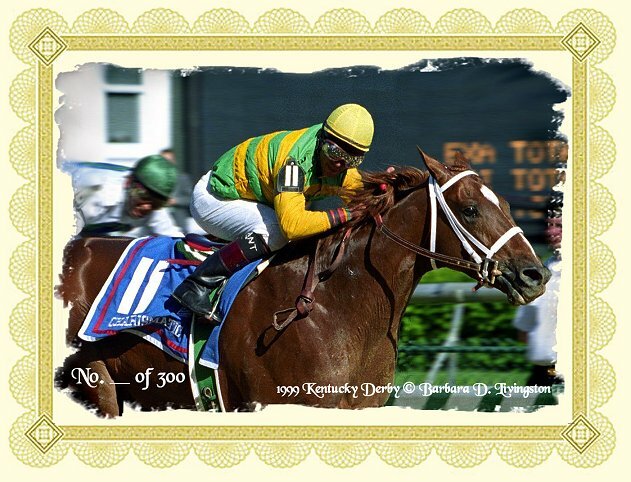 Members of Charismatic’s Inner Circle will receive this certificate with Barbara Livingston’s beautiful photo of Charismatic’s 1999 Kentucky Derby win. For $199.99 you can help fund the 1999 Kentucky Derby and Preakness winner’s return home and be a member of Charismatic’s Inner Circle. Receive a token of appreciation and invitation to a special event with Charismatic. But most of all, what a wonderful gift you can give to Charismatic! 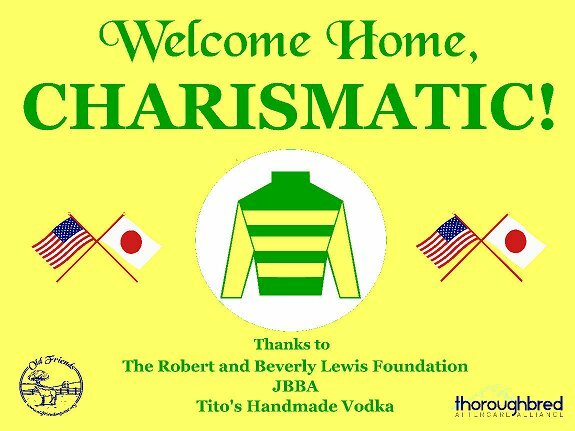 Old Friends thanks JBBA, and thank you to the Robert and Beverly Lewis Family Foundation and Tito’s Handmade Vodka for very generous contributions toward Charismatic’s return home. Like all stallions entering the country from overseas, Charismatic will go through a multi-step government-required quarantine before and after his arrival at Old Friends. This period lasts for a variable number of weeks before he can be available for visits. For news, check @oldfriendsfarm on Twitter, oldfriendsequine.org, and our Facebook page. And check back here for perspectives on our preparations. Coming next: Charismatic will be the first horse to use Old Friends’ brand new, luxurious quarantine suite! Get a photo look at what he’ll enjoy.